Prices do not include 10% GST and are subject to change at any time. Saraband Music stocks several historical and specialist rosins. Other brands (Pirastro, Hills, Thomastik, Raggetti) are available on special order. 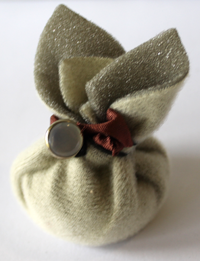 For Leatherwood Baroque Rosin, please click here. 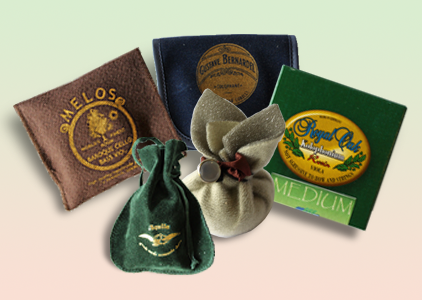 This rosin is suitable for all instruments and comes in a blue pouch. 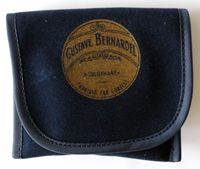 The recipe was invented by Gustave Bernardel in France at the turn of the 20th century and is now hand-made by Savarez. These rosins are made especially for baroque instruments. 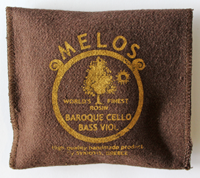 Three varieties are available: Baroque violin/Treble viol; Baroque viola /Tenor viol; Baroque cello/Bass viol. 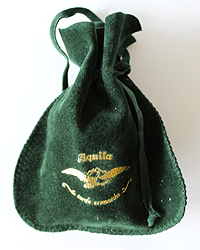 This rosin is suitable for all instruments and comes in a dark green leather pouch. It is based on a researched historical recipe. Pirastro make a variety of rosins which are used around the world. These can be ordered in for customers. Please give a week's notice. Royal Oak rosin. These are the last 3 as Kurschner has now discontinued production. 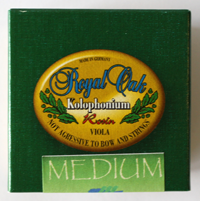 Medium Viola rosin in stock. Hill's rosin varieties are available from Saraband, but aren't kept in stock. Please give a week's notice for your order.